Consuming excessive salt during childhood is associated with cardiovascular health risk factors, yet the effectiveness of education- and behavior-based strategies to lower salt usage among children has not been fully researched. 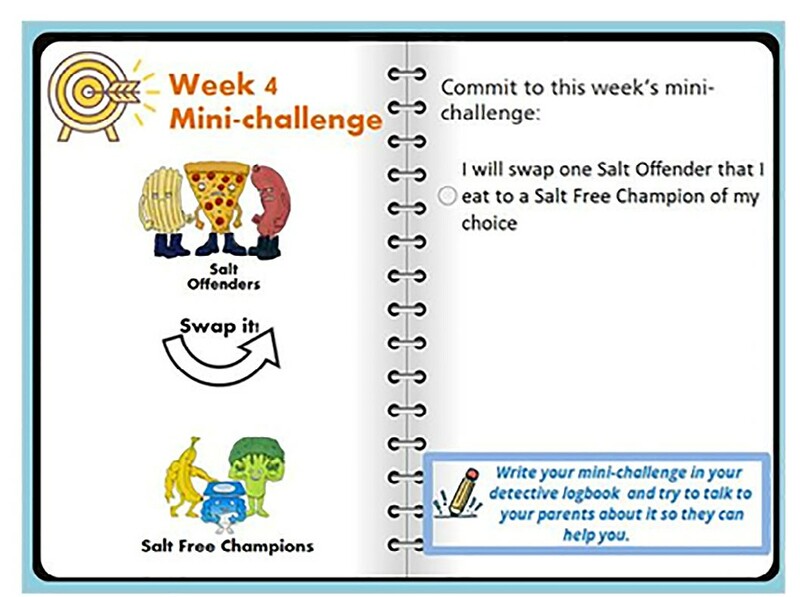 A new study published in the Journal of Nutrition Education and Behavior found that a web-based salt education program improved salt-related knowledge, self-efficacy, and behaviors among children ages 7-10 years. An example of intervention content. After participation there was significant improvement in children’s overall knowledge, behavior, and self-efficacy scores and no change in attitude score that measured the importance of using salt to make food tasty. There was a 19 percent reduction in the proportion of children who reported that a salt shaker was placed on the table. When a salt shaker was not present, salt usage by children was reduced 25 percent compared to 70 percent who reported adding salt when a salt shaker was on the table. Improvement was also shown in children’s self-reported belief that they could change their behaviors to eat less salt. The article is “Digital Education to Limit Salt in the Home (DELISH) Program Improves Knowledge, Self-Efficacy, and Behaviors Among Children,” by Carley Ann Grimes, PhD; Alison Booth, PhD; Durreajam Khokhar; Madeline West; Claire Margerison, PhD; Karen Campbell, PhD; and Caryl A. Nowson, PhD (https://doi.org/10.1016/j.jneb.2018.04.002). It appears in the Journal of Nutrition Education and Behavior, volume 50, issue 6 (June 2018) published by Elsevier. Full text of the article is available to credentialed journalists upon request; contact Eileen Leahy at +1 732 238 3628 or jnebmedia@elsevier.com to obtain copies. To schedule an interview with Dr. Carley Grimes from the Institute for Physical Activity and Nutrition at Deakin University please contact Donna Le Page at +61 412 797 937 or donna@lepage-pr.com.au. This study was funded by the Australian Heart Foundation. An audio podcast featuring an interview with Dr. Carley Grimes and information for journalists are located at www.jneb.org/content/podcast. Excerpts from the podcast may be reproduced by the media; contact Eileen Leahy to obtain permission.